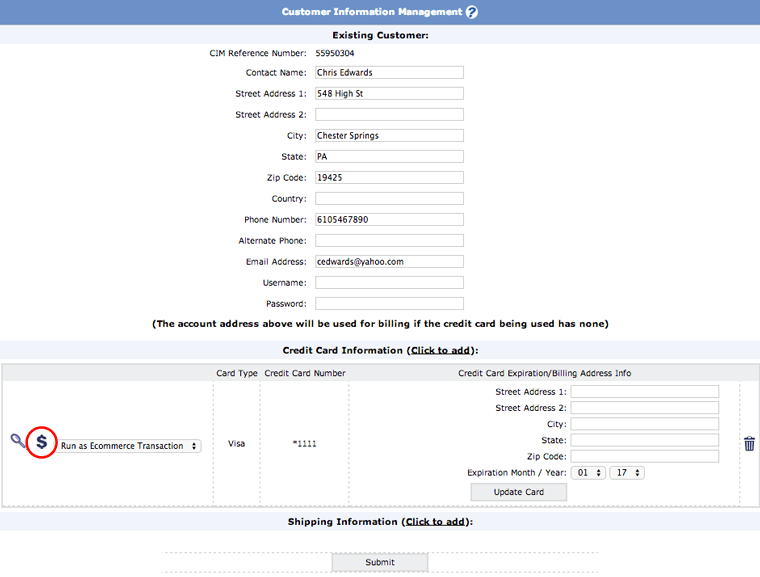 The CIM is useful for storing customer information for future transactions. Transactions may be run through the CIM on stored credit cards. 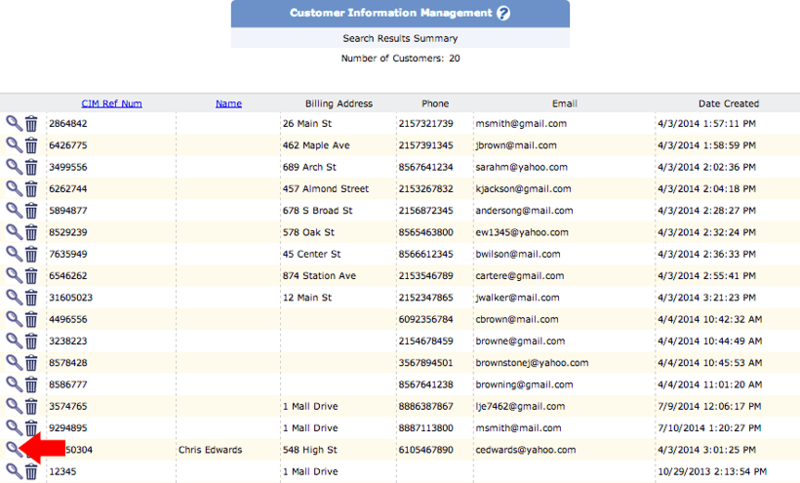 Hover your mouse over the 7th tab from the left, labeled CIM (Customer Information Management). CIM Reference Number: unique number that is created for that customer. It can be made up of numbers, letters or a combination of both. It can be used when searching for that customer. If you do not add one, one will automatically be generated for you. If it's an ACH Account: choose whether it's a checking or saving account, the account number and routing number. 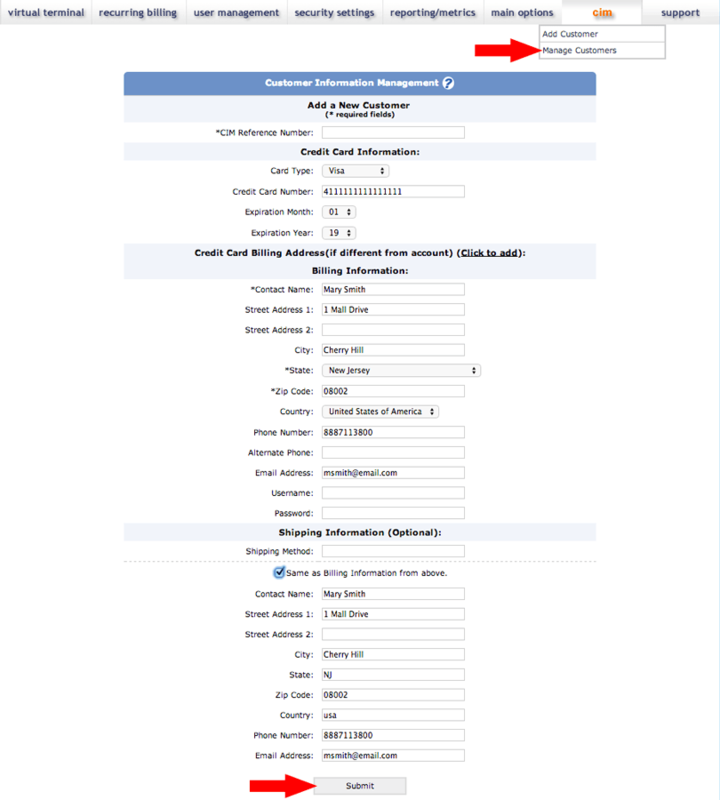 Fill out the Billing Information that is connected to the credit card or checking account. Search for customer. You can search by date, CIM Reference Number, contact name, phone number or email. Or you may leave blank, if desired. Click on the magnify glass icon in the same row as the desired customer's name. Scroll down to the Credit Card Information section.